Here is an aerial view of the Mamak district of Turkey's capital city Ankara, compliments of Drone Turkiye. Situated in the Central Anatolia region of the country, Ankara has been the capital of Turkey since the establishment of the Turkish Republic in the early 1920's. 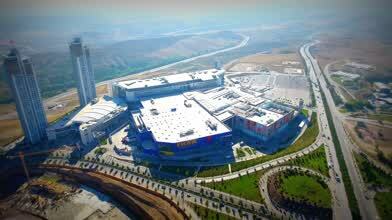 With a metropolitan population of nearly 5 million, Ankara is Turkey's second largest city. While humans have inhabited the area since the Bronze Age, Ankara was a small city before becoming the Turkish capital.